I bought my first car phone from his daughter Tee Vee at Muntz Electronics in 1988. These cars were originally called Curtiss, but when Curtiss went belly up, Mad Man Muntz came in and bought the remaining dies and put his name on them. Muntz was quite a character! Yup, see the Wikipedia entry for "Madman Muntz". OK. 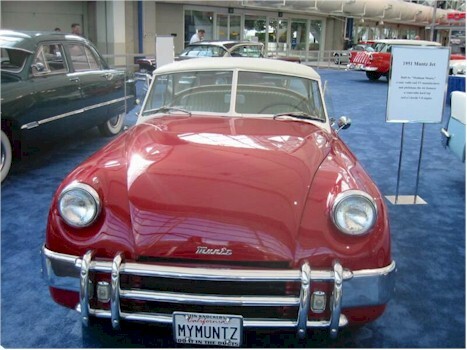 I never heard of a Muntz automobile and I've looked at more than a few collections. Did Mad Man Muntz go into the motor trade in addition to selling televisions and radios? How many were produced, what year(s) and how many are known to survive?